First up: Jesse Skiles of Fausse Piste, the minimalist. Truly PNW, Fausse Piste grapes are pulled from a variety of both Oregon and Washington vineyards, all with unique soil compositions and other differentiating growing conditions. After harvest, Skiles takes a more hands-off approach to winemaking using more natural or spontaneous fermentation processes, adding very little sulfur, and finishing with minimal filtration. Skiles’ methods also include what he calls reductive winemaking, simply, less interference in the cellar. The wine is aged on the lees for longer periods and racked once before it is bottled. It is even bottled in such a way that allows for less exposure to the elements in a straight barrel to bottle fashion. The result? Bold wines with boisterous minerality. Nearly too complex at first taste with the entirety of the winemaking process bottled up, after allowing it to open, you can differentiate and almost experience the wine in process, vineyard to bottle. Jesse had the Fausse Piste 2010 Viognier “ma conviction” ($21) and their 2010 Roussanne “l’Ortolan” ($40) to showcase, my favorite of the two being the Viognier. We look forward to seeing more from Fausse Piste and will be able to experience it shortly as Skiles plans to take his culinary background and open up a tasting room in SE Portland come March 2012. There, Fausse Piste wines will be paired with small plates of his creation. Next up, Brigadoon Wine Company. Starting from eight years old Matt Shown grew up working on his family’s estate vineyard, nestled in the southern Willamette Valley just northwest of Eugene, Oregon. He later developed his background in horticulture, officially becoming a winemaker for Brigadoon in 2008. At the tour, Matt shared Brigadoon’s 2010 Pinot Blanc ($16), 2010 Lylee Pinot Noir ($19) and their 2009 Taproot Pinot Noir ($32). While each wine captured the true essence of each grape varietal, the Lylee, named after owners Christopher Lyle Shown and Sheree Lee Shown, is a true Anthem find. To be released this Autumn, the silky Lylee will pair well with your cold weather culinary delights, as well as your bank account. Lastly, God King Slave Wines. Christine Collier and Chris Jiron have been officially inducted into the young winemakers of the Willamette Valley with the start of God King Slave. Their mission: Create like a God. Command like a King. Work like a Slave. At 27 and 24 they have released their first God King Slave label wine, a Syrah-Temperanillo blend, and were there to share the unique fusion. An accidental creation of Christine’s and quite the happy accident for us, the blend is wonderfully full-bodied and fruity-rich, with a bold, peppery finish. 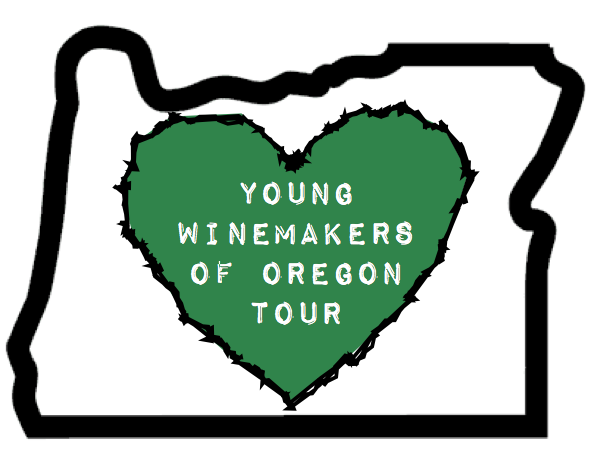 While we can still expect to enjoy the multitude of wines and wineries the Willamette Valley already has to offer, the excitement, flair and nuance of fresh faces, and the promise of original or rejuvenated family businesses was felt from at the Young Winemakers event. 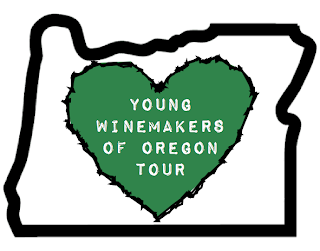 Here at the Anthem we look forward to inventive new wine concepts as these P.Y.T.s storm the Oregon wine scene. Beautifully written, Megan! .....from Jean B.